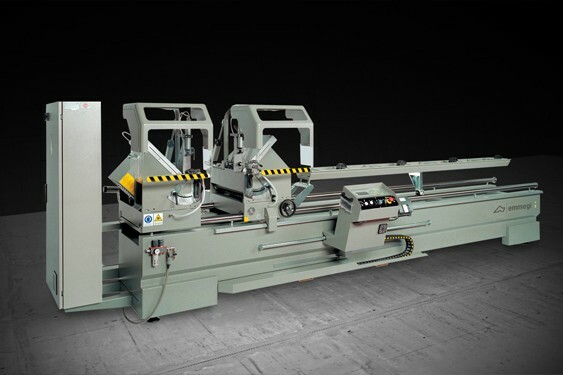 Twin head cutting-off machine with 5 NC axes for aluminium, PVC and lightweight alloys, with automatic mobile head movement and electronic management of all angles from 22,5° (internal) to 45° (external) with a resolution of 280 positions per degree. 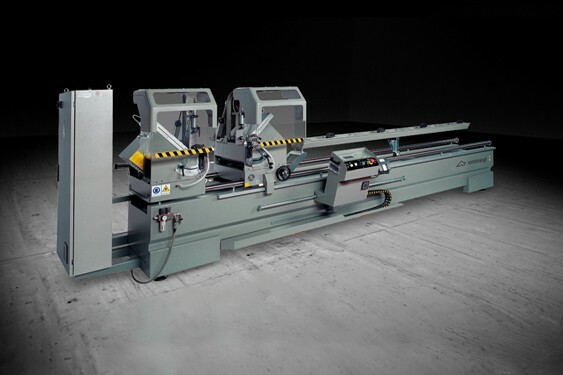 The 600 mm cemented carbide blades have two different feed modes. 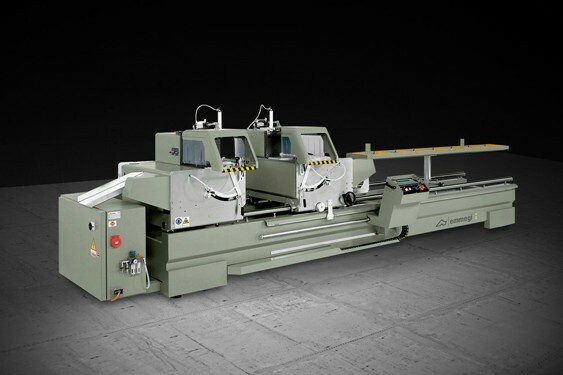 Standard feed optimises the cutting chart in the vertical direction for cutting profiles of more than 450 mm in height. 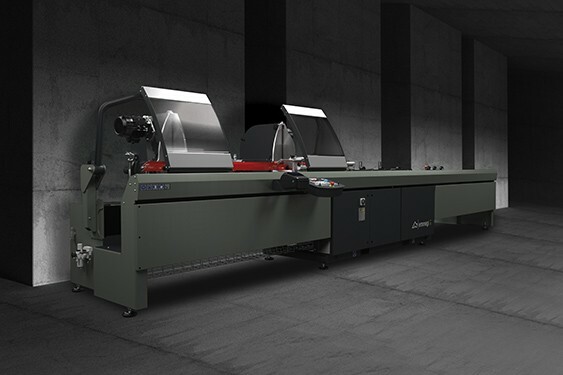 Radial mode, protected by one of the several patents covering this machine, produces ample cutting capability in the horizontal direction. 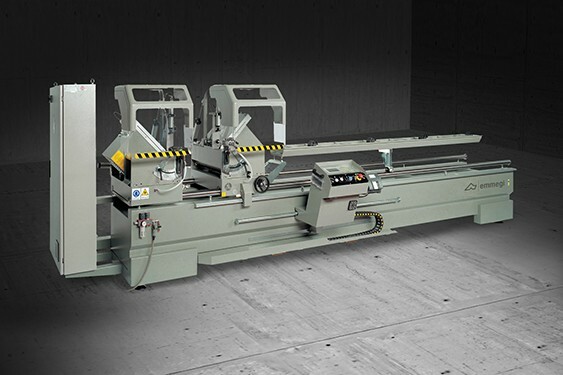 This solution allows 45° mitre cuts of profiles of up to 240 mm in width and 150 mm in height. 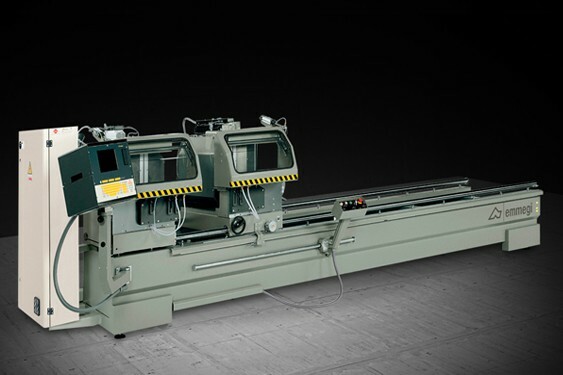 Blade feed is controlled by two NC axes to ensure optimal adjustment of the blades exit speed and stroke. 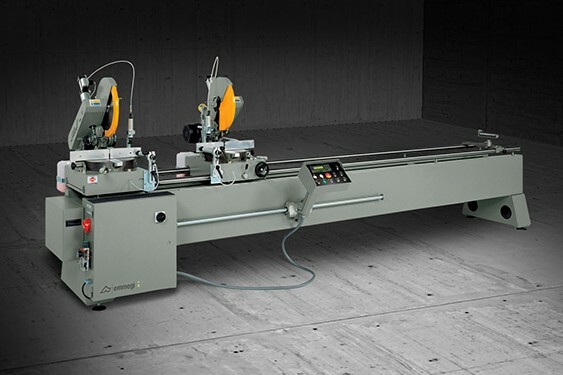 Positioning is achieved using an absolute linear magnetic strip measuring system, capable of storing the required position in the memory and dispensing with the need for axes homing procedures. 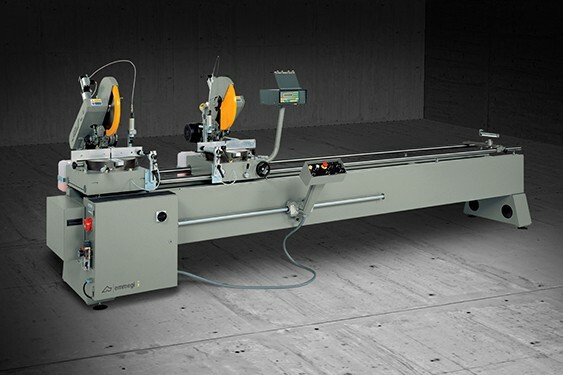 Numerical control makes it possible to manage all operating parameters from a state-of-the-art touchscreen control console. 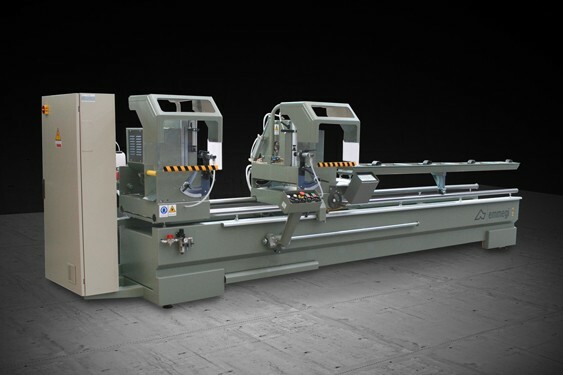 The automatic fully enclosed cutting area guarding, the design of the operator panels, and frontal access to the electric and pneumatic panel, confirm the advanced nature of this machine also from the perspective of safety and ergonomics.